There’s no denying that WordPress comprises a large part of our Internet usage. With so many people running blogs now, around 20 million websites are connected to this platform in some manner. 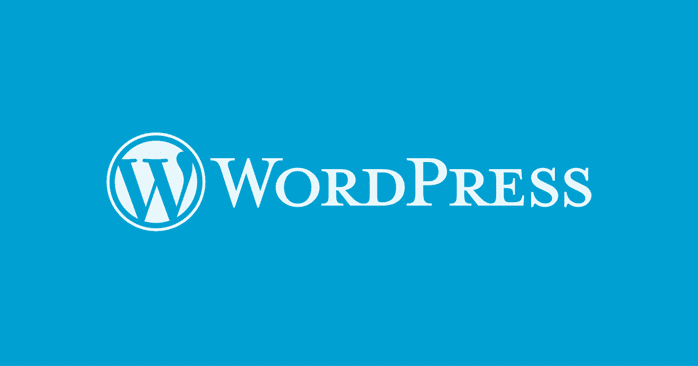 WordPress might have simply started out as an open-source platform for blogging, but is now a major content management system (CMS). However, when you use this CMS, you must also consider certain practices in order to secure your business. You can exercise more control when you use WordPress on AWS or Amazon Web Services, but you must retain it. Not sure why this is relevant or how to go about it? Read on below! The initiation of WordPress was based on PHP, not the cloud infrastructure so many of us depend on now. It also uses MySQL for a database backend server. With the expanding capabilities of WordPress now, it has to work alongside AWS in order to cater all its users. Hence, we can see AWS managing many features of WordPress, especially regarding the easy installation. Papertrail is another app where you can manage applications using AWS. Using AWS has several advantages, especially over using a shared server. The latter would slow you down with their delayed response rates, low security, and low up-time. In this manner and many others, AWS is the way to go. AWS is a form of cloud hosting that enables WordPress the same benefits. It’s hence not bound by the many limitations of shared host servers. You can scale it to reflect your traffic spikes and only pay for what you utilize. Once you get the experience, you may also install it yourself quite easily. For larger websites, then, using AWS is much more efficient than the transitional way. AWS doesn’t use cPanel on its server, so you’ll have to manage without or buy the license separately. Secure the server you’re using with an SSL certificate. This will change your URL from an HTTP:// in the beginning to an HTTPS://. This will help you in your Google rankings. For payments on your website, it’s recommended that you get a paid certificate using RapidSSL or something similar. If you’re not dealing in financial transactions, the free version ‘Let’s Encrypt’ will work for you. Use Certbot in the latter case, as it has detailed guides. After generating the SSL certificate, change any internal links on WordPress to the new URL prefix. You can use the plugin ‘Better Search-Replace’ to accomplish this. As the ‘Let’s Encrypt’ certificate is valid for just 90 days, make sure you renew it after this time period. The most effective websites today have a high level of scalability. LightSail is a common server within AWS. When using LightSail, you get an inexpensive option but there’s a very low server limit available. For higher vertical scaling, more bandwidth, or more RAM, utilize the inbuilt instance feature in LightSail. You can do this by clicking ‘manage’ on your LightSail Panel for vertical scaling. You can click Snapshot for a kind of backup. Then, use that snapshot to create your new instance. For the final step, attach your website’s static IP to the new instance and verify to be sure. Horizontal scaling requires some more planning with the AWS Load Balancer. After you get your new servers, the Load Balancer will make everything operate properly. Access the Balancer from the LightSail Home Screen, which you’ll find in ‘Networking’ under ‘Location.’ Once you have your location, you can enable either HTTPS or HTTP as required. Your website ruins smoothly through logging, but loading issues and other errors can damage its reliability. You can use the logging plus monitoring feature of Amazon CloudWatch to regulate your AWS resources. These include your load balances and EC2 instances. The metrics will let you check the amount of memory you’re using, any errors, and volume transactions. Static content such as extra images can slow down your website. Amazon S3 or Simple Storage Service can help to offload this. The W3 Total Cache plugin can also help to optimize your storage system using a cost-effective infrastructure. Once you offload extra content, you can easily concentrate on generating more dynamic content. It’s quite apparent that there are several practices to make AWS work well for your WordPress website. You can easily scale and customize it to feel confident as a host. You’ll also get the best performance, security, and speed available. Make use of the best practice above to help along your online dealings.